If you care about drinking great coffee, you have probably experimented with different brewing techniques. A popular choice is the pour over method – but it takes practice to master. To save you the effort, here, we check out the top picks for best automatic pour over coffee machine. How does a barista produce superior coffee? Which features help these brewers achieve perfection? 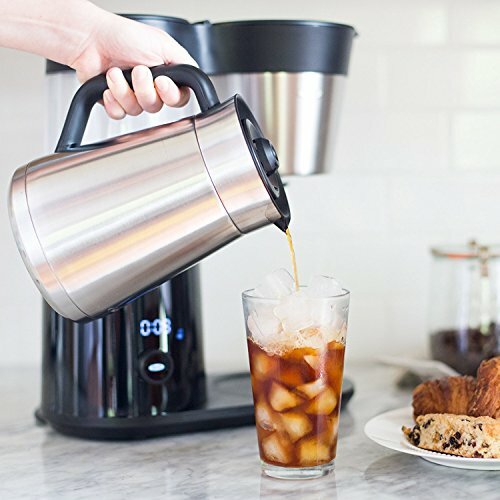 Ever since the 70s and the appearance of the original Mr. Coffee electric drip coffee machine, this kind of brewer has been one of the most popular ways of making coffee in North America. 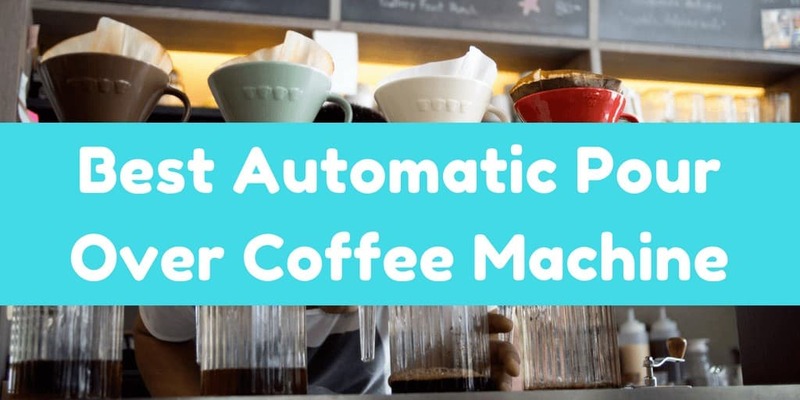 However, we need to remember that while automatic pour over coffee machines are a type of electric drip coffee maker, not all electric drip coffee makers are automatic pour over brewers. To start with let’s take a look at these two types of coffee brewers to see how we can tell them apart. 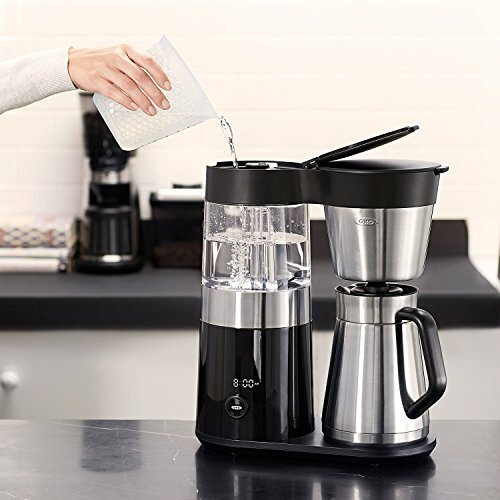 Drip coffee makers, starting with the original Mr. Coffee models, are brewers that work by heating water and then filtering it through coffee grounds in a basket into a jug or carafe below. The coffee is extracted through a process known as percolation and is then kept hot in the carafe on a hotplate. Before this invention, the most popular method for making coffee was to use a percolator, a kind of pot that sat on the stovetop, continually recycling the coffee through the grounds until you removed it from the heat. There were a couple of advantages to using the new electric machines as opposed to the old-style stovetop percolators. First, since percolators continually pass the water through the grounds in a never-ending cycle, it is easy to over-extract coffee when using this method (1). If you forget to remove the percolator from the heat, the coffee will quickly become bitter and unpleasant to drink. Check out this video to see one in action. Second, the new machines were quicker and easier to use. Rather than assemble the different removable parts of the percolator, you simply put ground coffee in the filter, make sure the water reservoir is full and press “on”. The machine does the rest. Finally, back in the 70s, part of the appeal of the new machines would surely have been that they looked modern and fashionable – much more exciting than the old-fashioned percolator that had been in use for generations. That’s not to say these machines were perfect. Once the coffee was brewed, if you left it on the hotplate too long, it would still become stewed and bitter, much like the coffee in a percolator. In addition, the original machines just dumped the water onto the grounds, leaving gravity and diffusion to take care of the rest. Back then, most people probably didn’t know better, but now, in the age of the Third Wave of coffee, we are more aware that this will lead to uneven extraction and an inferior cup. While a trained and skilled barista using the (manual) pour over method can produce one of the finest, most refined cups of coffee possible, the original drip coffee machines certainly came nowhere near. That’s where the automatic pour over machine comes in – it tries to replicate the skills of a barista in an automatic machine to produce a superior cup of coffee. It is an attempt to update the 1970s drip coffee machine and bring it into the 21st century. There are several features that these new machines include that allow it to pour coffee that is almost as good as pour over prepared by a pro. But how do trained baristas achieve such outstanding results? The secret to brewing excellent coffee lies in controlling a number of important variables very precisely. For example, first, you need to start with top-quality beans. Then, you need to grind the coffee correctly, you need to dose accurately, and you need to control the water temperature and extraction time carefully. A mistake at any of these steps will spoil your coffee. You might end up with a decent cup, but it certainly won’t be a great one. While coffee brewers can’t control all of the steps – they can’t choose the beans for you, for example – automatic pour over machines are designed to regulate the ones they can control very accurately. This means it is still possible to make a bad cup – but it will be your fault (for using the wrong grind, for example) rather than the fault of the brewer. Check out this Starbucks video about extraction. There are a couple of features common to many models of this type of machine that help them achieve superior results. First, a powerful heater brings the water quickly to a temperature of 195-205°F, the optimum temperature for brewing coffee, and makes sure it stays there. The next part is the water delivery. In the old machines, the water was just dripped down into the middle of the filter, meaning the coffee there was over-extracted while the coffee on the outside was under-extracted, spoiling the flavor. The best machines now use a showerhead system, ensuring the water is delivered evenly to the grounds and that the extraction process takes place evenly, improving the flavor. Furthermore, the very best machines feature a pre-brew mode that creates a coffee “bloom”, mimicking the brewing techniques of a human barista. Finally, some machines also have special carafes or hotplates that can keep the coffee warm without it stewing and becoming bitter. 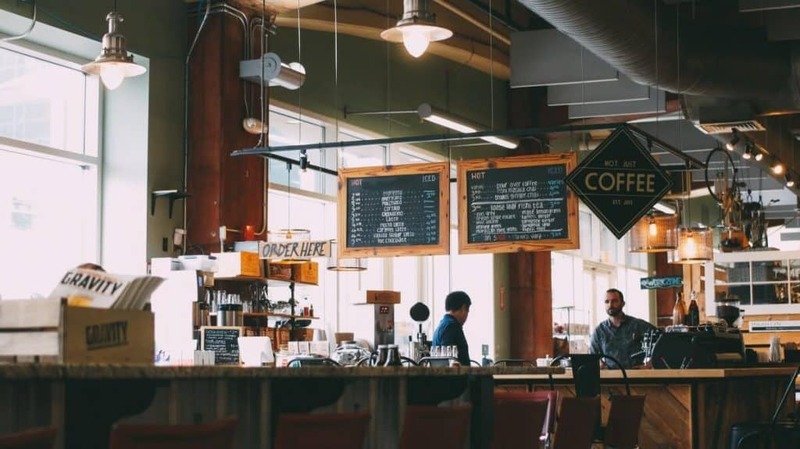 A select few machines have even received certification from the Specialty Coffee Association of America (SCAA), proving that they can brew coffee according to the organization’s “Gold Cup Standard”. Here are our top picks for the machines that combine these advanced features to produce consistently excellent coffee. This advanced drip coffee machine uses a microprocessor-controlled drip process to replicate the art of a trained barista. The water temperature is controlled precisely to 197.6-204.8°F for optimum brewing. The “rainmaker” showerhead ensures an even and uniform extraction for perfectly brewed coffee each time, as attested by the SCAA certification. It also features a programmable timer that lets you have coffee brewed and ready for when your alarm sounds in the morning. 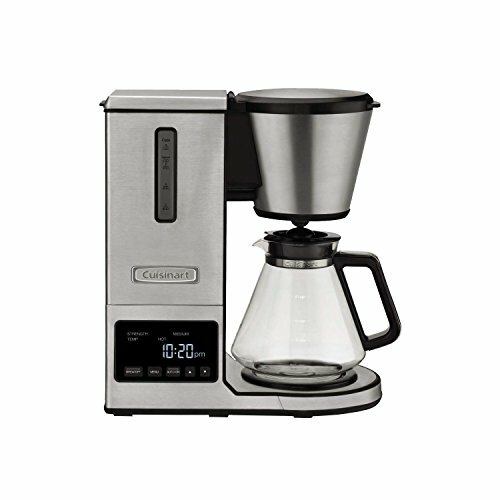 Cuisinart’s advanced pour over coffee maker is certified by the SCAA and produces superior-tasting coffee. When brewing, it pre-wets the coffee, allowing it to “bloom”, just like coffee brewed by a real barista. The machine features strength control and temperature control, allowing more scope for you to customize your drink to have it just the way you like it. This brewer is available with a glass carafe or with an upgraded thermal Stainless-Steel carafe. Bonavita is known for making high-quality but reasonably-priced brewers, and this model can certainly be placed in that category. It includes a powerful 1500-watt heater that carefully controls the water temperature and features an optional pre-infusion mode to mimic the work of a human barista. The showerhead delivery system and hanging flat-bottomed basket work together to produce perfect extraction. The thermal carafe then helps keep coffee warm and in optimum condition for longer. Related Post: Bonavita 1800 vs 1900 – What’s the Difference? This brewer controls the brewing temperature with great precision, allowing you to select a temperature between 190°F and 210°F. Full extraction is guaranteed by the oversized showerhead system and the pulsing delivery, producing a delicious coffee with a full flavor and less bitterness. Pre-saturation times are also adjustable. This brewer is certified by the SCAA. 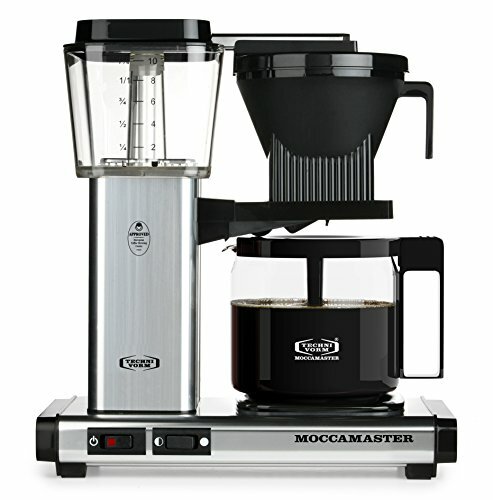 The Technivorm Moccamaster is one of the most acclaimed drip coffee makers to have appeared in recent years. 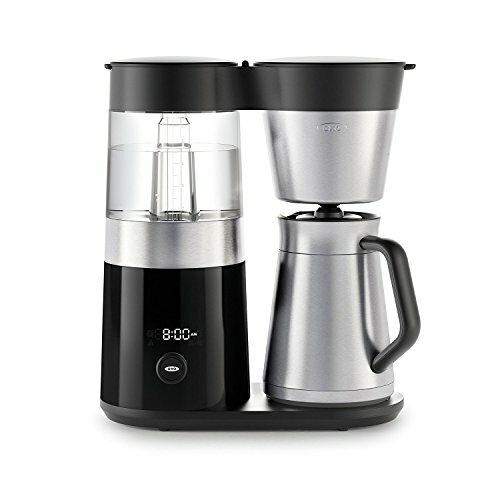 It successfully combines elegant design and ease of use with technical features designed to produce exceptional coffee. Water is heated to precisely 196-205°F for perfect brewing. 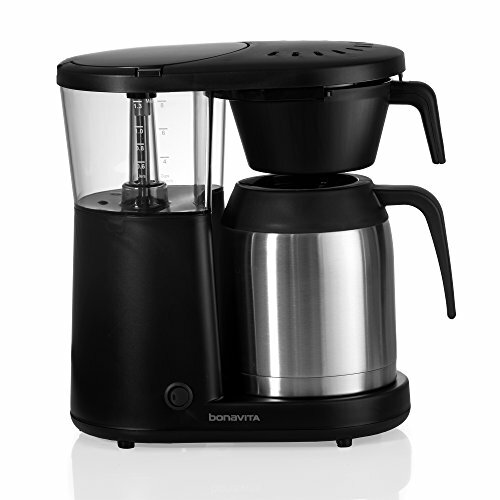 It takes only six minutes to brew a full 40oz carafe of coffee, after which it automatically switches off. 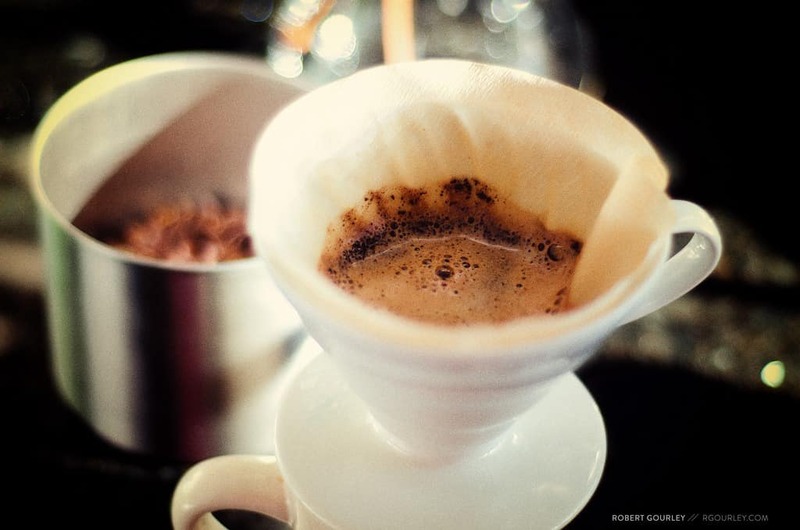 Coffee is then maintained at 175-185°F for up to 100 minutes to preserve quality and flavor. For those who just want a quick and easy coffee maker that can produce a hot brew each morning to deliver that shot of caffeine but who don’t really mind too much about the flavor, there are plenty of inexpensive drip brewers to pick from. 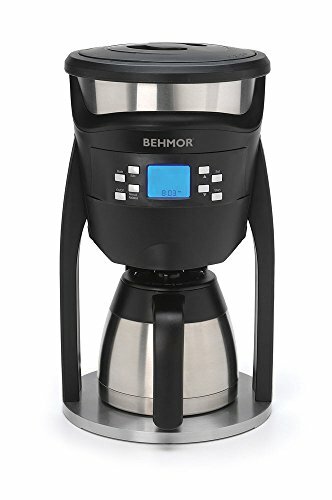 However, for those who really care about drinking great-tasting coffee with a superior flavor profile, it could well be worth investing in one of the best automatic pour over coffee machine options. We hope our guide has helped you by introducing these five excellent models. How do you brew your coffee? Do you use a drip coffee machine? 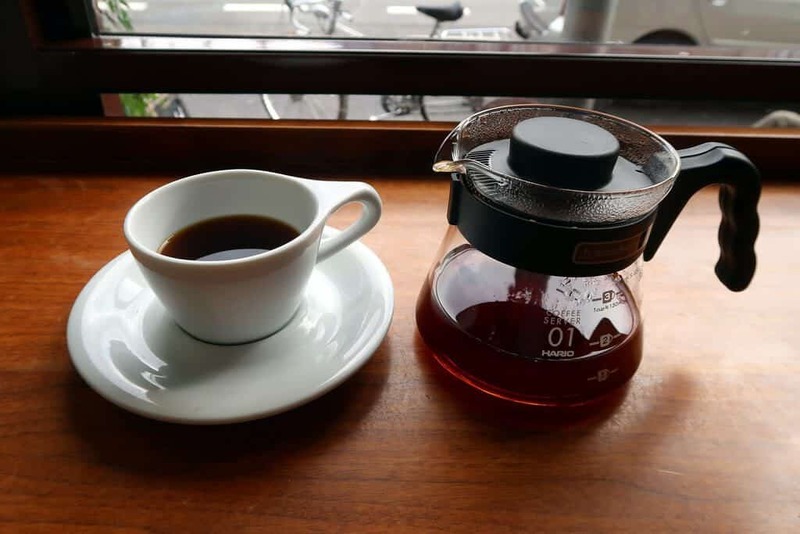 Is it a pour over model that imitates a barista or just a regular one? Or do you perform the ritual of pour over yourself? Please let us know – we love hearing from you. And if you enjoyed the article, please don’t forget to share!